WASHINGTON – Around half the drivers using Interstate 66 inside the Beltway do not have an E-ZPass or E-ZPass Flex, even though they’ll need them in less than two months when new toll lanes open, which will require the transponders during an expanded rush-hour period. “Somewhere between 50 and 60 percent of the vehicles traveling under those gantries have a properly mounted E-ZPass transponder,” Virginia Department of Transportation Tolling Operations Division Administrator David Caudill said in an interview. Virginia Deputy Secretary of Transportation Grindly Johnson promised a “mad push” to raise awareness of the new tolling system and E-ZPass requirements over the next several weeks. Summary data collected during ongoing testing of the toll gantries on Interstate 66 show 54 percent of vehicles that passed under the gantries between 5:30 a.m. and 7 p.m. on Friday, Oct. 20, had a mounted E-ZPass. On Monday, Oct. 23, the number was 55 percent. The internal testing numbers provided to WTOP did not indicate how many of the vehicles that did have a transponder had an E-ZPass Flex, which will be required for vehicles with two or more people inside to travel free toward D.C. from 5:30 a.m. to 9:30 a.m. or toward the Beltway from 3 p.m. to 7 p.m. weekdays. “There’s no pay-by-plate … you have to have an E-ZPass transponder to access the Express Lanes … if you don’t have a transponder, then a violation will get created,” Caudill said. Drivers who do not pay those bills based on license plate images could face additional charges. Unpaid bills could be referred to a debt collection agency, and drivers could eventually face a court summons and additional penalties. To avoid those penalties, drivers who may use the lanes can get an E-ZPass or E-ZPass Flex online, over the phone at 877-762-7824, or at a number of Department of Motor Vehicles centers, transit stores, AAA locations and grocery stores. The Flex transponder has a switch to allow drivers to indicate when they meet carpool requirements and when they do not. On other roads, such as the Dulles Toll Road, the flex transponder works like a usual E-ZPass, regardless of how the switch is set. Drivers who already have a regular E-ZPass who would like to switch it out for a Flex transponder, to get free trips when carpooling, can do it over the phone, online or at the DMV customer service centers in Woodbridge (2731 Caton Hill Rd.) or Chantilly (14950 Northridge Drive). While it makes sense for drivers who may carpool even once in a while to get the Flex transponder, it does come with a one-time $10 fee that will be charged automatically if it is not used for at least one HOV trip every six months in the toll lanes on I-66 (2 or more people required in the car), I-95, I-395 or I-495 (3 or more people required). Separate toll lanes on Interstate 66 outside the Capital Beltway, where HOV or toll rules will apply 24/7, are due to start major construction next year and open by 2022. Additional dry runs of hundreds of tolling scenarios are planned this week on I-66 inside the Beltway, Caudill said. While the tolls had originally been scheduled to launch this summer, additional testing has pushed the launch date past Election Day into December. “We are not taking any chances. The testing is going to be thorough and we’re going to make sure this system works to our expectation,” Caudill said. One of the goals is to avoid some of the issues that arose when the privately operated 495 Express Lanes launched. “We have to be sure we get this absolutely correct,” Johnson said. 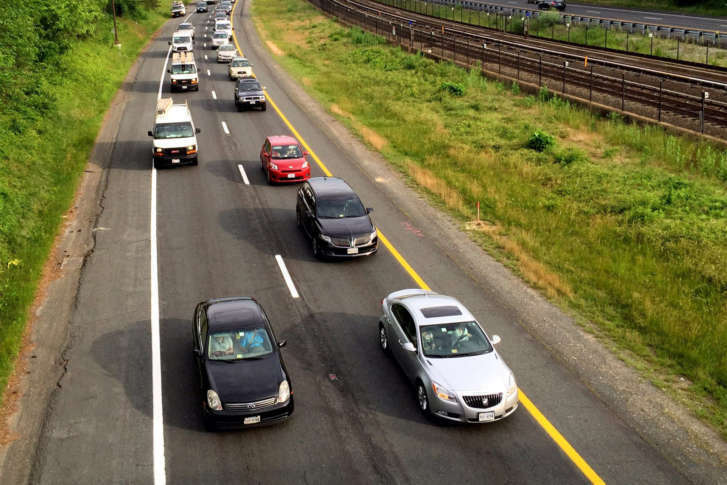 VDOT is launching a separate state-run toll operation on Interstate 64 in December as well. “We’ve been spending a little bit more time in Hampton Roads merely because this is the first time they have been exposed to HOT lanes, but [in] the 66 corridor we are very aware that there may be some E-ZPass penetration that we may need to do,” Johnson said. She promised that outreach work would happen now, over the final month or so of testing. “We have dedicated so many months to be sure that we have done the proper testing, so that we can have a road that is usable and that people will actually appreciate, and the invoicing is critical. We’ve got to be sure we have the invoicing properly,” Johnson said. Caudill, who is responsible for overseeing the tolling and Virginia’s E-ZPass program, said the testing has not turned up any problems that are out of the ordinary. Crews have been focused on the cameras and E-ZPass reading equipment, and the connection to the state’s E-ZPass central control. A VDOT-controlled office separate from the E-ZPass group will process toll violations, Caudill said.